The walls of the waiting room seemed to hedge in closer. I felt a tightness in my chest. Tears threatened to spill down my face. What was happening to me? I wiggled around on the tapestry-covered bench trying to find a way to calm myself. I struggle to cry in the privacy of my home so there was no way I was going to burst out crying in a Doctor’s waiting room full of strangers! I had to somehow pull myself together. I knew something was brewing on my hour and a half drive to pick up my mom for her medical procedure. I felt disconnected, overwhelmed, stressed, and worn out. Anxiety was rearing its ugly head. Since I had no time or resources to figure it out I brushed it off and drove on. My panic rose as I anxiously waited for my mom’s procedure to be done. Everything around me seemed to be spiraling out of control. I grabbed my phone, wondering who I could call or text to help me through this? Would anyone understand? A few names came to mind but I didn’t want to bother them or think I was losing my mind. In truth, I felt like I was. I was lost in my thoughts as I felt the Lord speaking to my heart, “I’m here.” I was stunned! It was as if he was sitting right next to me on the bench, tapping me on the shoulder saying, “Call on Me. I have the answers you need.” I bent my head down and silently prayed as tears trickled down my face. It was as if the Lord had reached down and hugged me. I didn’t use the words “I feel like giving up” in my prayer but the Lord saw the words etched upon my weary soul. He knows what we’re feeling before we think it or speak it out loud. Praise the Lord for knowing us so much better than we know ourselves! Our spoken and unspoken prayers are heard. Amen! The people in the waiting room were looking in my direction. Who knows what they must be thinking? I needed a distraction so I opened my book to where I left off. I couldn’t believe my eyes as I looked down at the big bold letters on the page, DON’T GIVE UP! My throat clenched as I tried to wrangle the sobs erupting at the base of my throat. The tears let loose as I continued to read the rest of the chapter. It felt like the author’s words were written just for me! A pervading sense of peace and love washed over me. The tightness in my chest released and the tears retreated. Maybe you need those same three words today? Don’t Give Up! Psalm 71:4 (NKJV) But I will hope continually, And will praise You yet more and more. My husband and I are full-time caregivers for my dad who has Alzheimer’s and Kidney Cancer. The Lord prepared and equipped us for this season of life and He sustains us. It’s been a blessing and we’re grateful. But honestly, some days I don’t feel qualified or able. Some days it just feels daunting. I’m just plain worn out; a tangled mess of emotions. I think the anxiety I experienced in the waiting room was a result of my circumstances. Watching my dad decline and fade away from the man I once knew is heartbreaking. I love supporting authors’ by joining their book launch teams. When I saw Jennifer Duke Lee’s opportunity for “It’s All Under Control” I was excited yet I didn’t know how I’d squeeze it into my overflowing life. I resisted at first, but then I felt the Lord nudge me to say “yes”, so I happily applied. Being a part of Jennifer’s launch team and reading her life-giving book was a God-orchestrated blessing! I could have been reading any other book or page that day in the waiting room, but the Lord wanted her God-given words to be laid out before me in His perfect timing. I am so glad I said yes! I’m grateful to Jennifer Dukes Lee for baring her heart and soul in this book. I love her authentic stories, powerful truths, and faith-filled spirit. The chapters Hang On, Let Go, Help, Wait, and Rest resonated with my current life circumstances in beautiful ways. 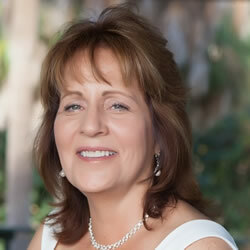 Jennifer includes beneficial action steps and exercises to make healthy life changes. You can also purchase the companion Bible study to dig a little deeper. Friends, I hope you treat yourself to a copy of It’s All Under Control. Jennifer’s writing will cause you to pause and reflect, say “me too”, experience freedom and aha moments, and maybe shed a few tears. I think if you haven’t already you will fall in love with Jennifer and her writing. Jennifer Dukes Lee’s guest post is an adaptation from her amazing book It’s All Under Control. The same words I read and unknowingly needed that day in the waiting room, in God’s perfect timing. I pray they give you comfort and hope, as they did me. Don’t forget to enter the giveaway at the bottom of the post! Sometimes “let go and let God” is bad advice. Let’s all take a deep breath and not let that sentence scare us. Friend, I don’t know exactly what you’re going through. Maybe it feels like the harvest will never come. Maybe it feels like all hope is lost. Perhaps you want to “let go” or give up. But what if you need to hang on a little longer? Getting into Gods word, so it can get into me. Rebecca Lynn, thank you for your sweet words. I agree that Jennifer’s book came in a perfect season for so many people. It’s such a blessing. Thank you so much for your prayers, I’m grateful. That’s so kind of you. The Lord sustains us and I know we couldn’t do this in our own strength. Praise the Lord! Blessings to you my friend. Thank you for sharing and for your kind words. God is faithful! Hope is our lifeline. He loves us all with a kind of love that we’re incapable of giving.I’ll be keeping you and your parents in my prayers.